Collect your key card from the Sesame Technology Kiosk. 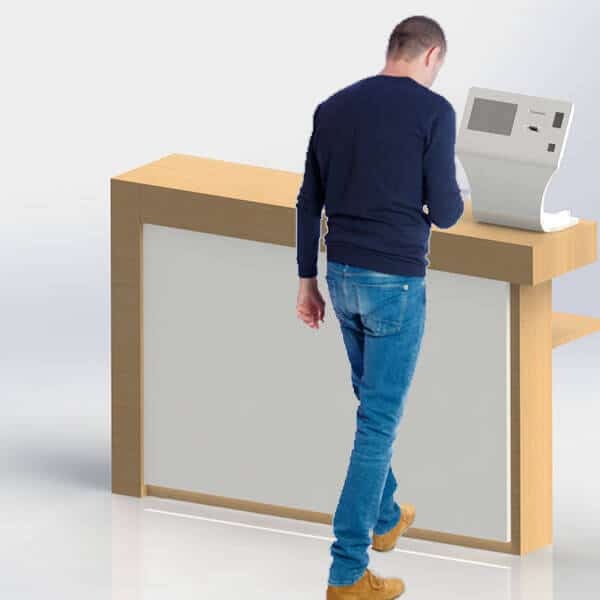 Simple and intuitive, the Sesame Technology Kiosk enables you to deliver the room key 24 hours a day to each of your Customer. Once you have entered your reservation number or scaned your qr code confirmation the key card is issued by the Sesame Technology terminal. All you need is a plug to install it !